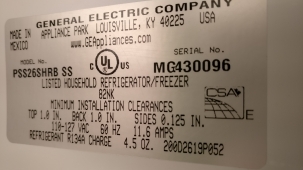 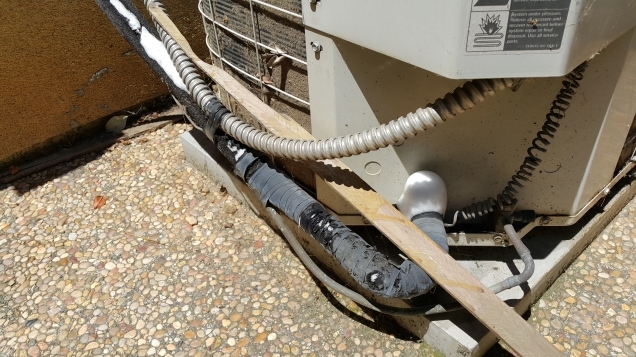 On another hot day a customer called us because his AC was not blowing cold air. 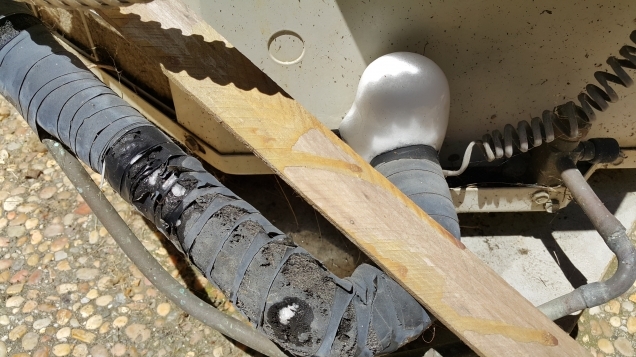 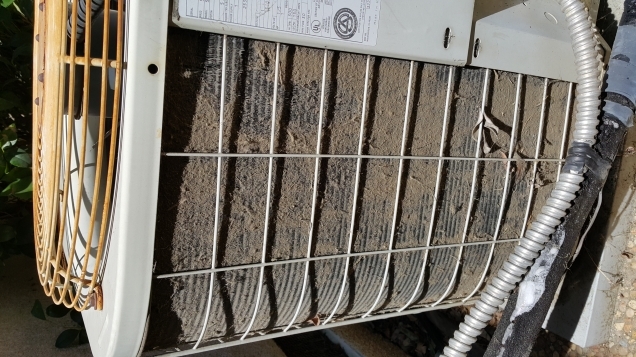 The tech checked the outside AC unit and realized that the problem was because the AC was completely covered with dust. Also the low side pipes had ice on them. 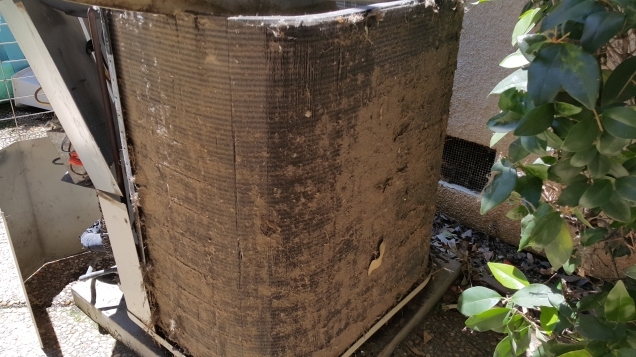 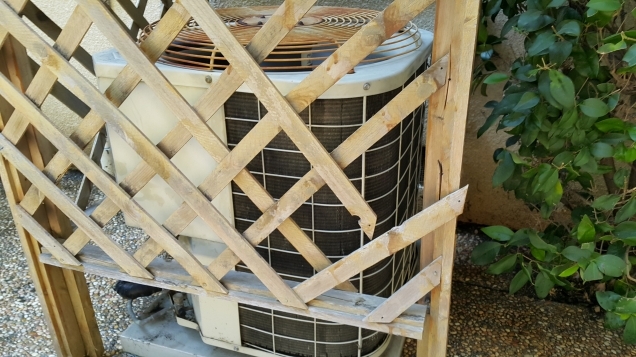 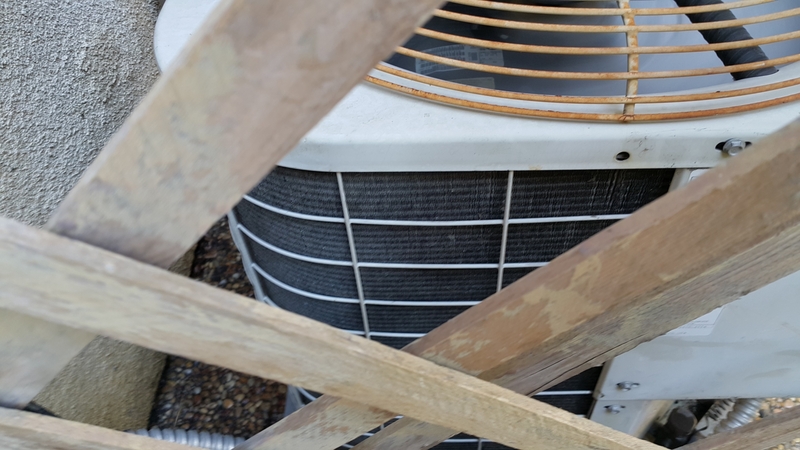 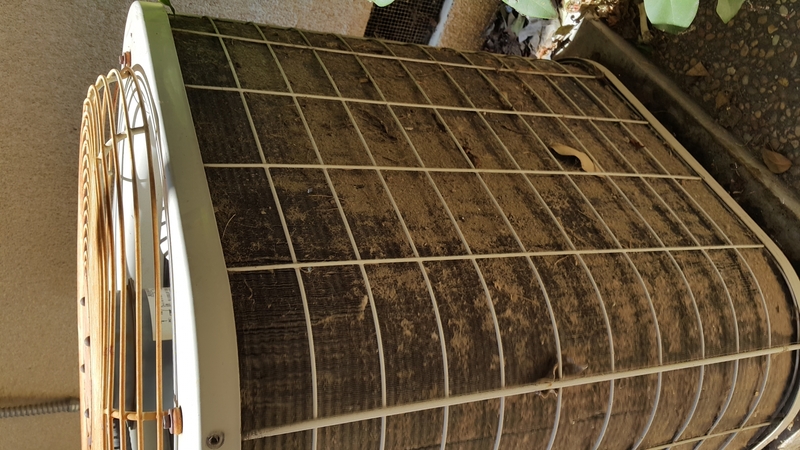 Cleaning of the condenser coil fixed the issue and the AC started working as if it were new.